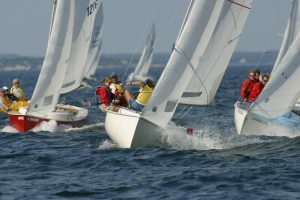 Rhodes 19 Class Association | The class association for Rhodes 19 sailboats. This Oday Rhodes 19 has been measured when San Francisco Fleet 17 was active. 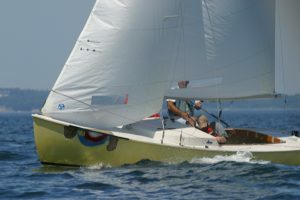 She has won numerous trophies including 1st of over 100 boats in the San Francisco – Stockton (70mi) race. 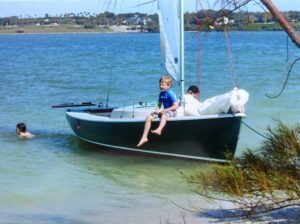 The November Mainsheet is here! Rhodes 19 Theme Song Released…. 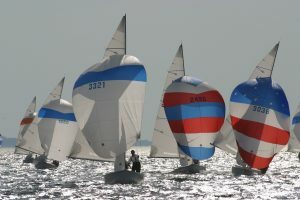 Rick McGregor (above left) won the 2018 Rhodes 19 National Championship title by winning the final race of an 11-race series on October 5–7 in New Orleans, LA. The weather gods provided great racing conditions over the three day event. McGregor held a small lead after the first two days over five-time R19 National Champion and local ace, Benz Faget. However, two races into the final day, Faget had taken a one-point lead with just one race remaining. 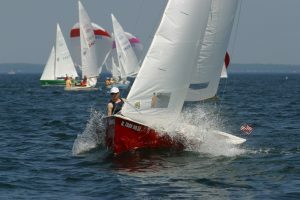 In fantastic racing conditions, Faget found himself on the wrong side of shift, dropping him back into fifth place while McGregor, with Heather Funkhauser/ Gary Taylor and Jackson Benvenutti calling tactics, maneuvered into a three-way fight for first place with Mike Lane of Marblehead and local fleet captain Rocky Sanchez. The three boats surfed down the final leg of the final race jockeying for the win. 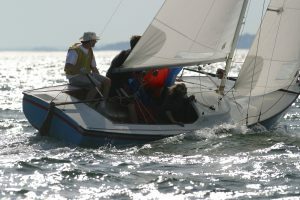 McGregor’s Pog Ma Hon surfed past the others to take a half boat-length win in the final race and the series. 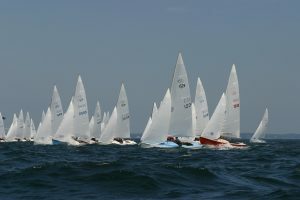 The twenty-boat fleet had sailors from Alabama, Illinois, Louisiana, Massachusetts, and New York, but it was the locals from Southern Yacht Club that dominated the final standings, taking 4 of the top 5 overall places. Only Marblehead’s Mike Lane broke the local stranglehold, finishing third overall behind McGregor and Faget. Sanchez took fourth place and Dwight LeBlanc Jr rounded out the top five.